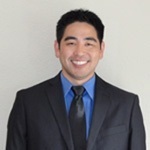 Donny Takemoto is a financial consultant with The Elite Financial Network, Inc. since 2001. With so many years of experience in the financial services industry, he is a key member of the team specializing in investment and insurance research and assessment, he enjoys building strong relationships with clients and helping them pursue their financial goals. Donny currently resides in the Los Angeles area and is active in the Japanese Community Center. He has been studying karate for over 30 years and he puts his skills to work in training children the art of self defense.